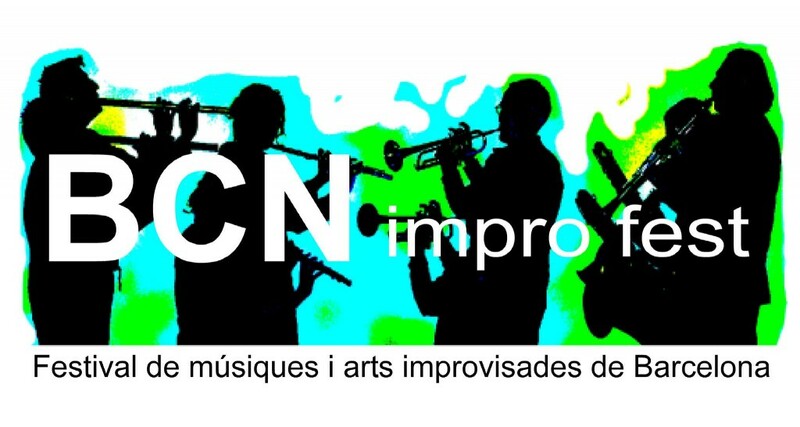 This was the inauguration of the first BCN Impro Fest, a month-long celebration intended to bring together the musicians (and others) involved in the city’s improvised music scene. Organised by Miquel Jordà, the festival is hosted by Sala Fènix with a concert each Tuesday evening. In addition, there’s an exhibition of photography and artwork depicting both Barcelona-based musicians and international names who have played here in the past, featuring work by Joan Cortés, Roberto Dominguez, Elena Márquez and Miquel Jordà – a Jazz Noise was, and is, honoured to have a few reviews hanging on the wall in such company. A collision of delicate fragments – Lai’s piano conjures up spring rain, Schneider’s non-verbal acrobatics are awe-inspiring and playful in equal measure, the scraping of Claman’s strings raise the hairs on the arms (mine, not hers as far as I know), and Vega’s flute provides an almost-not-there bubbling undercurrent. There’s an easy randomness at work here alongside an atmosphere of close attention and deliberation; indeed, some of the most effective moments are when voice and flute briefly merge into a single rich sound. As another piece begins, the solo flute creates a wistful zen-like atmosphere, enhanced by Lai working the inside of the piano with what seemed to be a pair of chopsticks. They’re soon joined by a series of dissonant chords from Claman, while Schneider restricts herself to amplified breathing before letting her pure soprano tones blossom as Lai lets loose flurries of lower-register notes. The overriding impression is of absence of ego and confident sublimation to a joint creative endeavour, resulting in a structure that is grand, imposing and yet also fragile. But let’s not be too serious. We’re meant to see the fun at work here too, evidenced most clearly by Schneider’s introduction to the final collaboration: laughter that turns to a sob, and a muted wail, before bursting with joy once more. In contrast, the next piece is a cloud of sound shrapnel and extended technique: analogue breathing, tapped mouthpieces, drones, buzzes, fingers dragged across drumheads, whines and scrapes – a spontaneous sculpture with the three horns underpinned by a rolling drum rhythm. As with the first set, time passes quickly as thought is suspended in sound and all too soon it’s over and the audience dissolves into intimate clusters of post-orgasmic (maybe even post-traumatic) afterglow… or maybe they’re just talking about the music. Either way, they look satisfied with the experience.